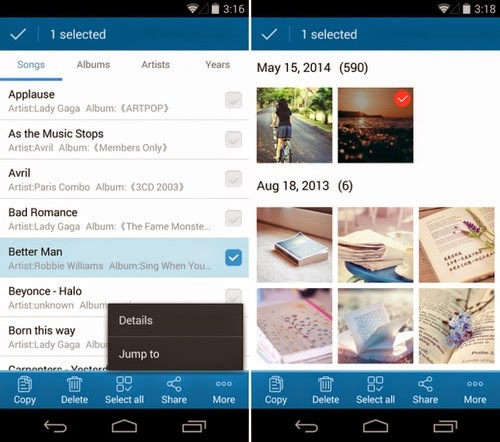 File management is a very basic need on Android. As such, there are hundreds (if not thousands) of file managers available for the platform. File managers are available in practically every shape and form. And because of the wide array of file managers available, it’s very difficult for any new file manager to stand out–but occasionally, one does. A little under a month ago, we talked a little bit aboutTomi File Manager by XDA Senior Member uuOuu. For those who don’t remember, Tomi set to differentiate itself from the sea of other file managers with its fantastic user interface and its ability to categorize your files into music, pictures, videos, documents, and apps. But despite the file manager’s many positive attributes, quite a few users found themselves looking elsewhere due to the lack of root access. Now, Tomi File Manager has left its beta trial, and the latest versions bring many improvements over what we saw previously. Just like before, Tomi File Manager still features a fantastic user interface, which can organize files into distinct categories. It also still offers storage usage visualizations to show you just how much space you’re using with each file type. But recently, Tomi gained quite a few highly requested features such as root file management, a built-in image browser for instant picture previews, cut/paste support, and the ability to send folders to your desktop. In addition, you are now able to edit large text files from within the file manager, which when combined with the root explorer capabilities, makes for easy build.prop or hosts file editing. If you’ve been looking for an extremely full featured (and user friendly) file manager, you should check out Tomi File Manager. And now that it offers root file management, there’s no excuse to not give this a shot. You can get started by heading over to the application thread.